Oh what a lovely day! The larger than life characters of the film Mad Max: Fury Road have stepped into the Pop! Vinyl format. 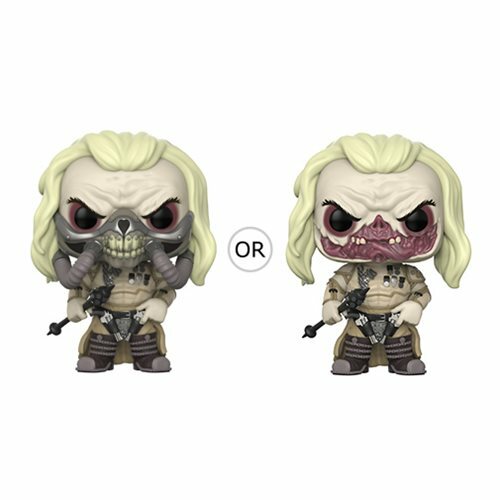 This Mad Max: Fury Road Immortan Joe Pop! Vinyl Figure measures approximately 3 3/4-inches tall and comes packaged in a window display box. Ages 3 and up.